No one plans for an incident to occur while on the road, but unfortunately, accidents and issues happen. It’s imperative to be as a prepared as possible in the event that you experience a collision or other emergency situation. With Toyota Safety Connect, your new Toyota provides access to a suite of safety technology that can give you peace of mind on the road and keep you connected in case you require assistance. These services operate by using the vehicle’s built in cellular technology, as well as its GPS system, to connect Toyota drivers to 24-hour Toyota response center. Safety Connect is a subscription-based service, but all new Toyota vehicles equipped with Entune™ 3.0 Audio Plus and Premium Audio will come with a three-year complimentary trial. All you need to do is visit Toyotaowners.com to register and enroll into your new vehicle’s Toyota connected services program. Let’s get into what these systems do. First, we have Automatic Collision Notification, which, as you guessed, provides automatic assistance in the event of certain severe collisions. If the unforeseeable happens, and the airbags deploy, Safety Connect will automatically reach out to Toyota’s response center. The responding agent will access the vehicle’s location and attempt to speak to the vehicle’s occupants through the audio system. After assessing the severity of the situation, including if there is no response from the vehicle, the agent can contact emergency services as appropriate. The Emergency Assistance (SOS) service works in a similar way, but rather than being an automated response to a collision, you can reach out to the agent manually. Once connected, the agent has the same ability to access the vehicle’s location, assess the situation, and dispatch emergency assistance. Roadside Assistance works in a similar manner as well, offering access to a roadside assistance agent at the push of a button. The agent will be able to access the vehicle’s location and dispatch assistance for a range of common issues like towing, jump-starting dead batteries, fixing flat tires, and delivering emergency fuel. Finally, we have the Stolen Vehicle Locator feature. This service uses Safety Connect’s cellular and GPS technology to help local authorities track and down and recover the vehicle if it’s stolen. While these services are part of Entune™ 3.0, they do not have an interface within the head unit itself. Instead, for emergency and roadside assistance, you simply push the overhead SOS button, which returns an interactive voice response system that determines whether to route the call to either the Safety Connect or Roadside Assistance response centers. So, if trouble ever arises on the road, you know that Safety Connect is there. To learn more about the Toyota vehicles that offer Toyota Safety Connect, explore our inventory or contact us today. 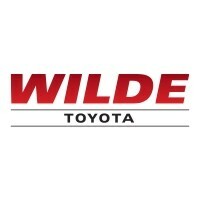 We hope you choose Wilde Toyota for all your automotive needs! 0 comment(s) so far on What is Toyota Safety Connect?